The Taos Arts Council is a non-profit organization working to ensure that Taos County has a vibrant, vital and active arts environment. The mission of the TAC is to promote awareness, understanding, appreciation and development of all of the Creative Arts (literary, visual, tactile, musical, performing, etc.) in order to enhance the quality of life in our Northern New Mexico area. The Taos Center for the Arts provides and supports a wide range of cultural, artistic and educational activities enhancing the quality of life and reflecting the diverse community of Northern New Mexico. 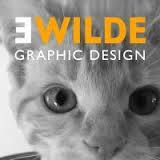 Freelance graphic design, specializing in print and press work. Emily studied at the Art Institute of Pittsburgh and is the Assistant Director at "Total Arts Gallery Inc."